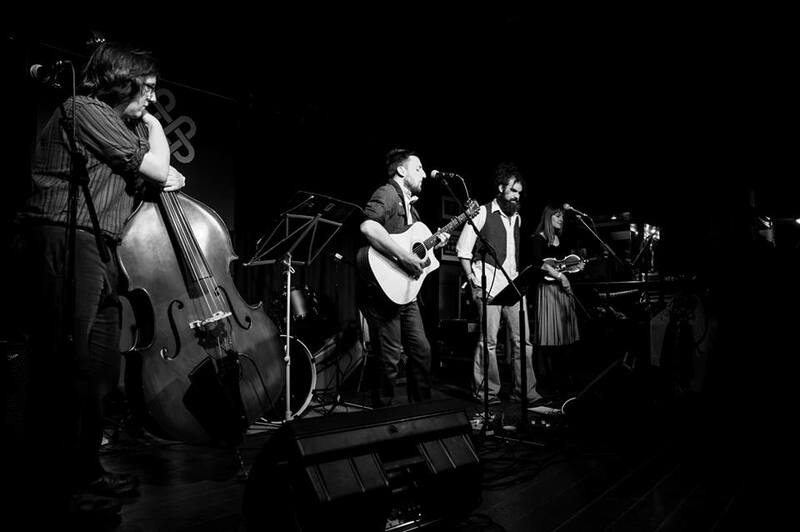 Winter and Williams Band (W&W Band) are an alternative acoustic band from Cardiff, Wales originally formed in 2006. The band’s current lineup includes singer/songwriter Peter Winter, bassist Deej Williams, violinist/vocalist Ellie Burton, and drummer Tom Rabaiotti. Between 2006–2009 W&W Band released two 4-track studio EPs and a live EP recorded in Cafe Jazz, Cardiff. Both studio EPs were recorded by drummer Ben Harris and mixed by the band. EP 2, in particular, was mastered by Donal Whelan at Hafod Mastering. Less than two months after the release of EP 2, Mark Watson and Ben Harris announced their departure from the band. Winter and Williams (as a duo) decided to promote EP 2 and continued to write and play with the idea of reforming the band. During this time W&W band were invited to play a night compèred by Betha Elfyn in Buffalo Bar, Cardiff. However, the band had officially disbanded by then with Peter and Gareth obligated to fulfil the booking. This happened to be the last time the two songwriters played on stage together as Gareth Williams soon parted ways. 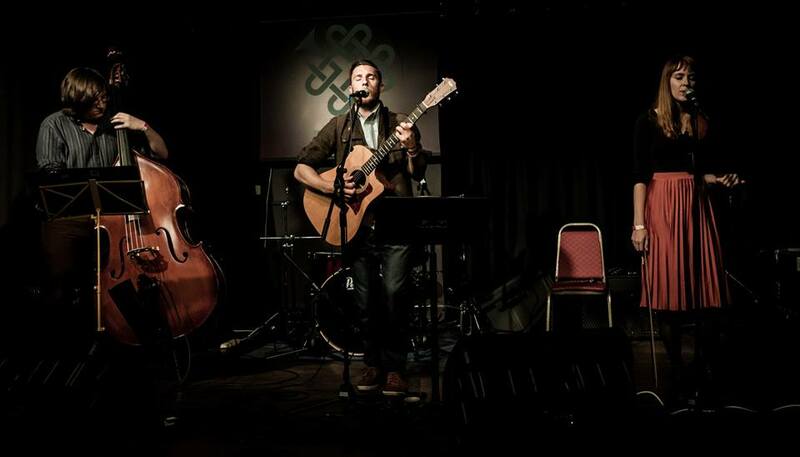 Consequently, Peter continued to play solo supporting a variety of singer/songwriters, such as Christopher Rees. In 2011 founding member Peter Winter decided to reform the band with fellow Cardiff musicians Deej Williams and Tom Rabaiotti. Since 2011, Peter has enlisted the help of a number of Cardiff musicians for live and studio sounds, including: Dave Morris (Vocals), Ellie Jayne Burton (Violin/Vocals), Callum Duggan (Double bass), Francesca Dimech (Trumpet), Ian Perry (Trombone) and Gareth Evans (French horn/Trombone). W&W Band released their third studio EP (recorded and mixed by Llion Robertson: Future of the Left, Zervas & Pepper) on 5/6/14 and received a number of favourable reviews: “The band’s genre is hard to pin down which is probably a good thing. Touches of jazz, folk and even mild funk combine to produce a fine landscape.” (Francis, NewSound Wales). The EP was supported by the single ‘Blueberry Song’ also to critical acclaim: “This track is fairly progressive in nature, beginning with a funky guitar pattern and zealous vocals overlapping a relaxed, steady groove before rather abruptly hightailing to even calmer and more euphonious musical pastures.” (Charlie Piercey, South Wales Music Journalist). A promo video of the single with footage from the EP launch was filmed by Cardiff filmmaker Simon Bartlett. The artwork for the EP and single was created by design artist Benjamin Field who is also responsible for the Blue Honey posters which help promote the DJ and live music nights at Gwdihw, Cardiff. In September 2014 the band entered the studio with Van Morrison musician Richard Dunn to record new song ‘Hills and Shadows’ and features The Mavron Quartet. The single was released on 15/12/14. Benjamin Field was again called on to produce the single artwork.